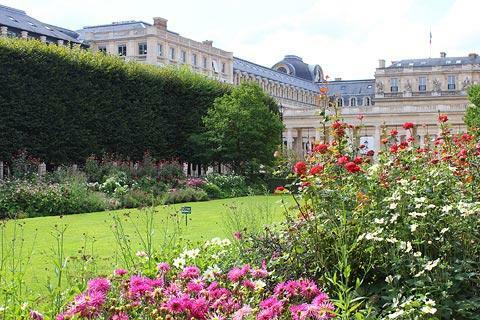 The Royal-Palace was originally built in 1636 by Cardinal Richelieu - so it is not surprising to learn it was at that time called the Palais-Cardinal. 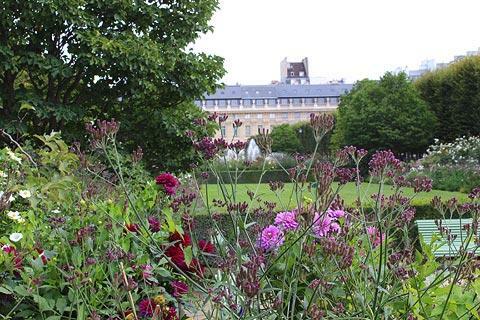 Richelieu bequeathed the palace to the King in his will, so it became Royal in 1642. Over the following decades it became a centre for meetings of the Royal court. The palace was later extended to include the columned area behind the main palace, which was used for shops and subsequently became something of an area of ill-repute. 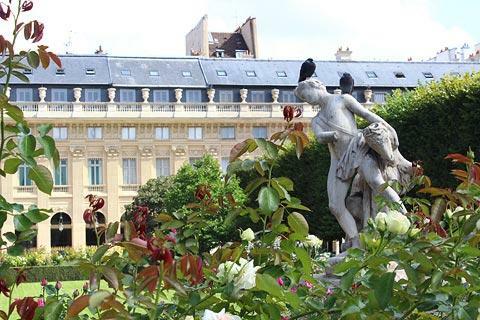 This continued until King Louis-Philippe came to the throne in 1830 and decided to close the shops because of their bad reputation. 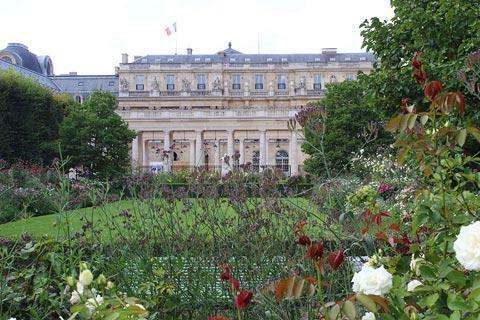 The palace was burned in the Paris Commune uprising of 1870, then restored to be used as Government offices, a role it has retained until today. 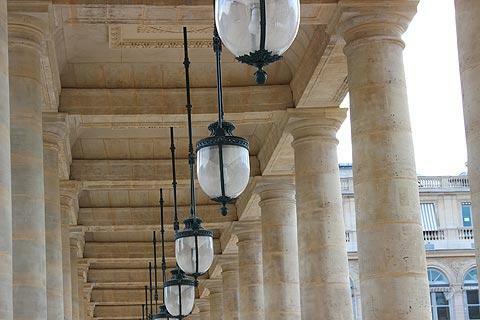 Before entering the main courtyard take a look at the original Palais-Royal from Rue Saint-Honorè. This large courtyard is not open to the public but can be seen through the ironwork gates. 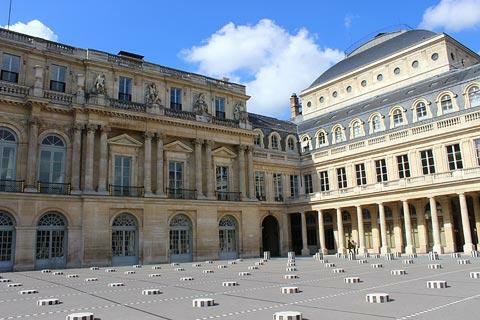 To the left of the palace entrance is the Comedie Francaise, an important group of actors that was established in the 17th century and is still active today. 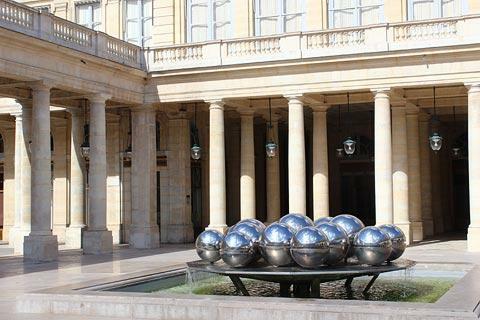 Just beyond the columns there are large round fountains containing multiple big shiny bowls. Again apparently controversial but these actually give quite interesting multiple reflections of the columns and palace buildings and in my opinion give an extra point of interest. Beyond this first area the large second courtyard is where you can see the gardens of the Palais-Royal, also surrounded by buildings most of which are now small shops. 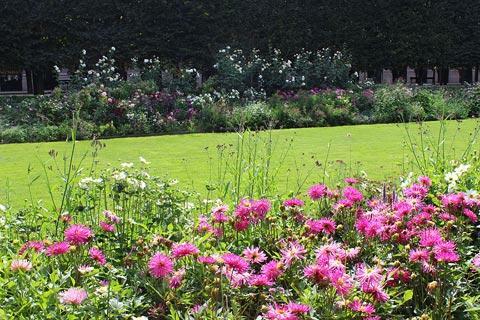 The gardens were once larger but they were reduced in size and the surrounding buildings erected in 1780 by the Duke of Orléans in an attempt to make money, mostly from cafes and brothels (and rather successfully, we are told). 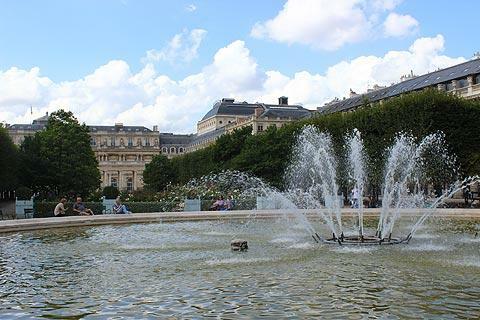 The gardens are very pretty with lots of flower beds and a large water feature in the middle and a nice place to escape the crowds of the Louvre for a while. 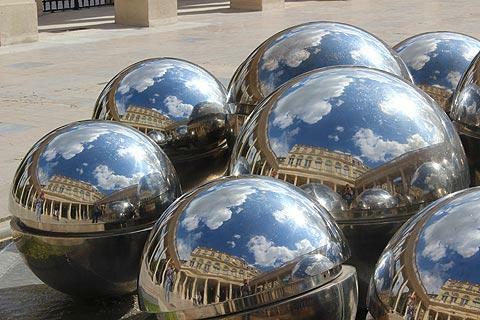 If you leave the Palais-Royal from the north end you can follow the Rue de la Bourse a short distance to see the Bourse (stockmarket) building.